Teens Vote Bowling Birthday Parties #1. When you’re looking for a birthday party place in Green Bay …Ashwaubenon Bowling Alley is your party headquarters. We have two great party packages to choose from! 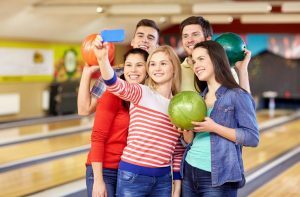 Teen parties are available during open bowling hours. Cosmic parties are available on Friday & Saturday at 9:30pm during our Extreme Cosmic Bowling. *Birthday bowler bowls for FREE when you book online and use the promo code ONLINE. We know what teens like - fun, fun, fun!